Tonika “Toni” Morgan is an award-winning educator, leader, and social entrepreneur. 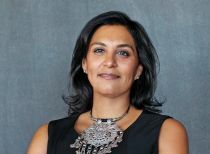 Since 2003, she has successfully launched and led initiatives that address issues of justice, injustice, organizational change, and inclusion in numerous sectors including education, housing, arts, and most recently, tech. Touted by CNBC and Now Magazine as “one to watch”, her incredible story about her transition from homeless high school dropout, to youth advocate, to international role model and Harvard graduate provides audiences with a thrilling and inspiring peek into the world of a leader on the rise. Learning has changed in the 21st century. What have our schools done to keep pace? How do teachers and school administrators make the leap from working in disconnected and fixed learning spaces to ones that are connective, responsive and innovative? In this talk, Toni provides audiences with a method that places teacher-student relationships at the centre of a successful school culture. Drawing on her work as a college professor in Toronto and course designer at Harvard, as well as her many years running youth education programs, her insights give the audience practical and actionable advice that they can bring back to their local, school communities. Make a Great Impression Count- MAGIC! What does it mean to have magic? As students, how do you discover and cultivate it in a way that truly benefits you? In this keynote, Toni talks magic– that is, the acronym: Make A Great Impression Count. She shares with students the power of making an impression and the consequences of ignoring or underutilizing your magic. Never one to shy away from the harsh truth of her story, Toni pulls students in with her stories of multiple failures and disappointment as a homeless high school drop out, and takes brings them all the way to Harvard University, where she became the school’s first Black Alumni Legacy award winner and the recipient of numerous leadership awards. Buzzwords like “diversity” and “inclusion” have become all the rage, but what do they mean for you? In this two-part talk, Toni provides audiences with the foundational building blocks that are critical to creating resilient and inclusive organizations. Drawing on her past work as a senior manager in organizational strategy and partnerships, Toni provides a beginner’s framework for leaders who are interested in going beyond the buzzwords. In this talk, Toni delves deeper into what it takes to transform an organization’s culture to become more inclusive. Drawing on the theories of celebrated scholars in business, education, and law, including some of her own mentors from Harvard, Toni’s talk gives audiences the language, tools, and theoretical grounding to successfully transform their organizations. By the end, audiences leave with a complete toolkit of questions, frameworks, and resources to ensure their success. Toni was fantastic! I heard the delegates referencing her presentation for the duration of the conference. She is very easy to relate with and is motivating. Her use of questions, video and interaction was appreciated. Toni’s message is simple: Live like your future depends on it. She uses her story of struggle and triumph in the education system to show people of all ages, that with a bit of imagination, an appetite for change and an unwavering compassion for others, we can be the architects of a better tomorrow. But Toni is more than a speaker– she’s a doer, and a prolific one, at that. Toni’s track record includes creating Canada’s first pay-what-you-can university courses for low-income students. She managed her first million dollar education program for single mothers at the age of 22, and launching the world’s most successful viral education crowdfunding campaign by raising $100K in 48 hours from people in 16 countries and 26 cities, to pursue graduate education Harvard University. Toni has been invited to speak on some of the world’s biggest stages, including the Women’s Global March, South by Southwest (SXSW), Harvard University, WeDay, and in school districts across Canada and the U.S. In addition, she has received numerous awards for her work such as the YWCA Young Woman of Distinction Award, FLARE Magazine Volunteer of the Year, Constance. E Hamilton Award for Human Rights, the Kolajo Afolabi Award for Educational Justice, and Harvard University’s inaugural Black Alumni Legacy Award. As her work continues to inspire the next generation of leaders, entrepreneurs, game changers, Toni’s life and work continues to be featured nationally and regionally by media outlets including Boston Globe, CNBC, the London Guardian, Toronto Star, CBC, FLARE Magazine, and MTV and more. Currently, Toni is a Career Counsellor and Managing Director of the Center for Law, Innovation, and Creativity at Northeastern University School of Law, in Boston, Massachusetts.